How can you best express your story online? These graphic designers explore different techniques to present their works and personalities on their websites. 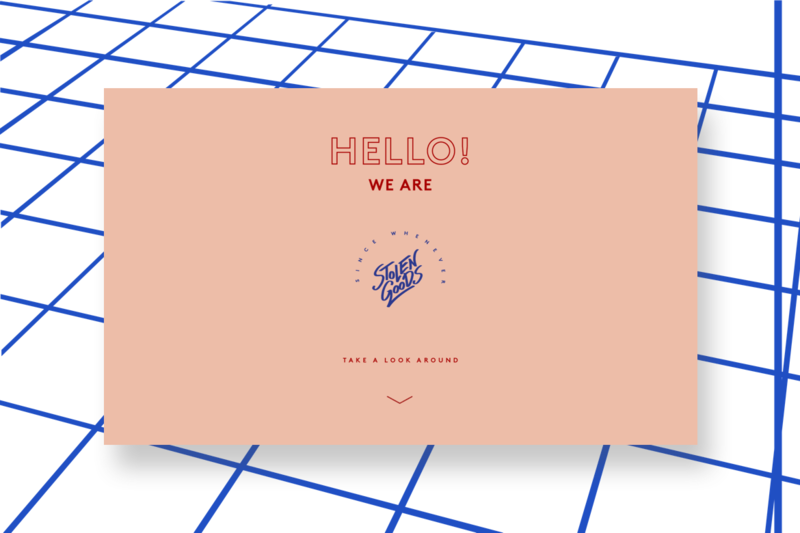 We love this graphic design studio’s clever use of kinetic typography on the homepage. Not only does it include their logo and demonstrate a snippet of their skills, it also presents what their brand is all about. 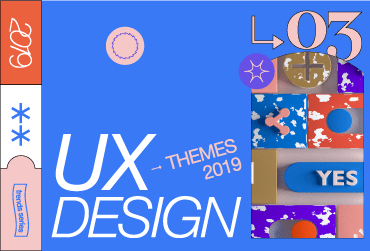 There’s a clear visual language throughout the website, with the use of big, bold text, equally bold color choices and a touch of our beloved gradient here and there. Each project page tells a visual story of the process they went through, from the inspiration stage, to the type and color choices, and behind the scenes images that will make you want to step into your screen. Danielle Evans, the face behind the legendary Kanyegg, is best known for her incredible food typography. 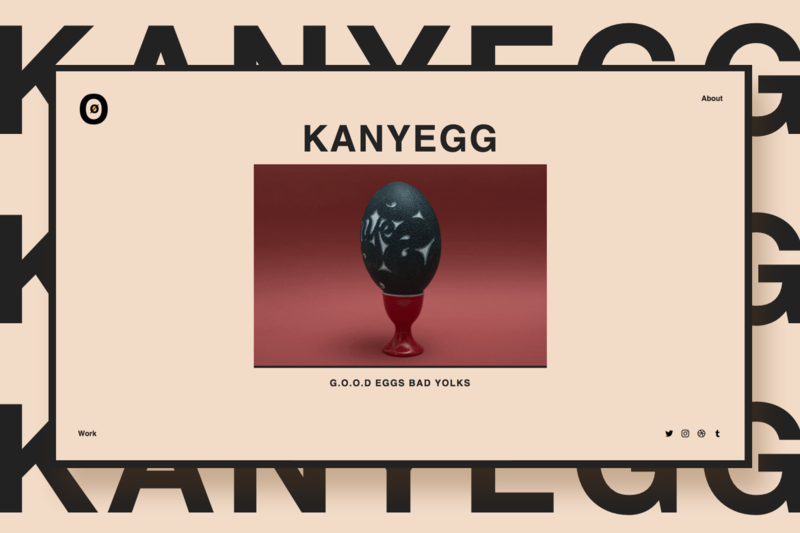 In this exploration into Kanye West as a pop culture phenomenon, she takes it one step further, using the humble egg as her medium of choice. She stays true to her source of inspiration, by sticking to the shades Yeezy goes for in his clothing line. Just how each egg creation is prepared with the utmost care and delicacy, so is the website. Each image has a certain effect when you hover over it: some become blurred, while others display a “before and after” shot. Not over Yeezy? Tuck into this egg galore. 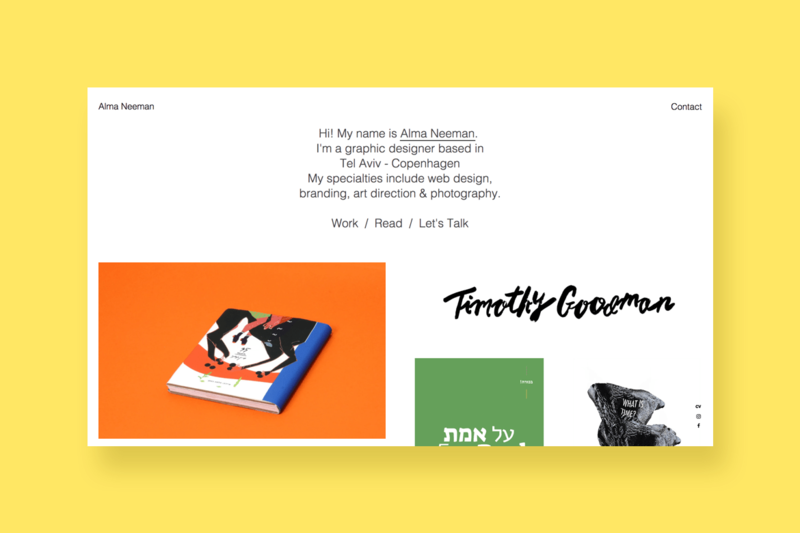 This portfolio really is a breath of fresh air, with its clean design and use of white space. In other cases, the use of an uneven grid layout could lead to a messy appearance, but here, the composition is perfect: the images have been aligned and placed with sensitivity and meticulous care. Despite the diverse nature of the works (a combination of print, illustrations and web design), each image compliments the ones surrounding it. This, plus the attention to color, come together to form an aesthetic balance between all the visuals, making you eager to discover more. These ladies sure know how to make us smile. With a friendly, un-crowded homepage that welcomes you into the site, and beautifully illustrated products, they’ve definitely won us over. But that’s not all: they’ve paid attention to every detail, including a specific tone of voice that suits the brand’s vibe. From the bold and friendly “hello!” on the homepage, to the logo’s “since whenever”, these small touches help create a more personal feel. The shots of their patterned products balance out with the ordered grid and the large white frame around the sides of the screen. 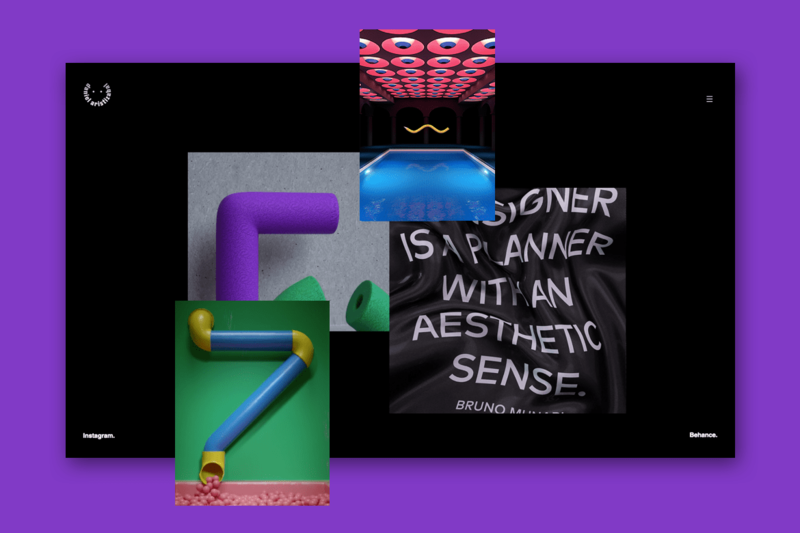 Everything about Mike Winkelmann’s website screams Mike Winkelmann, from the full-screen videos on the homepage, to the monochrome color scheme and the way the words cross out when clicked. Not to mention the language used throughout the site that adds an intimate and real tone. 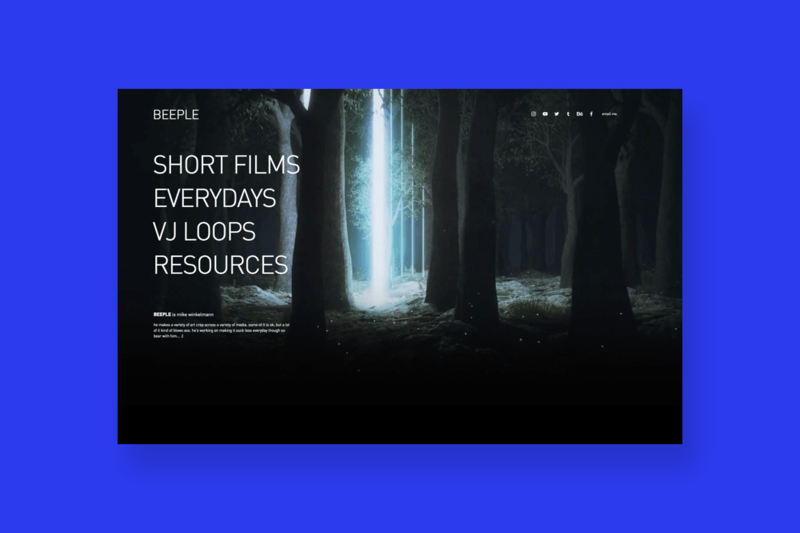 There’s a diverse mix of projects, including animated short films, VJ clips and ‘Everydays’. Despite their different styles and natures, they come together to form a whole experience. But if you really want to treat yourself (and enjoy a trip down memory lane), dive into the ‘Archive’ section. We promise brutally honest, behind the scenes action. Enjoy. If you didn’t know the meaning of the phrase “eye candy”, now you do. An unidentifiable pink object, gravity-defying scenarios, and other overly real digital materials meet you on Daniel Aristazábal’s homepage. The fun doesn’t stop there: each page offers an exciting scrolling experience, as images slide in and begin to move, overlapping one another. Adding a touch of order in this online playground, the four elements in the corner of the screen stay put while you scroll. 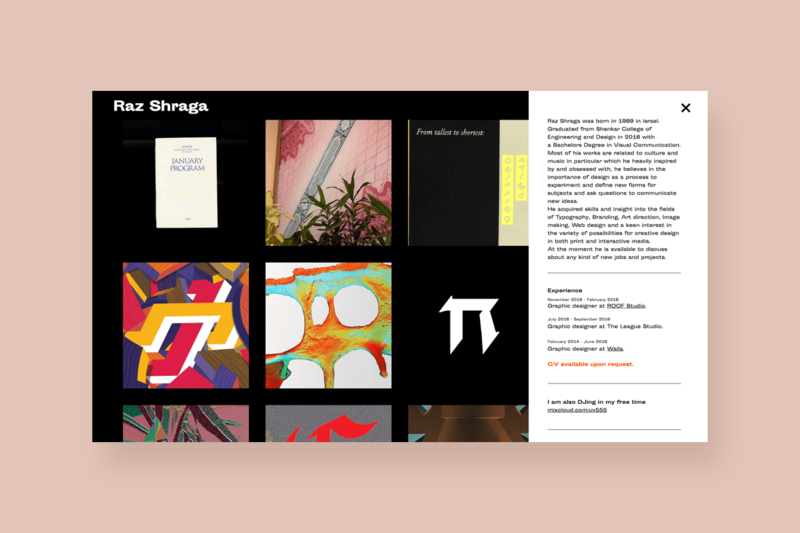 This graphic designer’s portfolio gets straight to the point, with a slideshow on the top fold, presenting a selection of his works. An organized grid further down displays the rest of his projects. With a simple black background and white text and arrows, the colorful visuals really stand out. The navigation couldn’t be simpler, especially as the ‘info’ section slides in as a window, covering just a small part of the screen. By not being on a separate page, it means that you can stay on the main page, while simultaneously admiring the works. 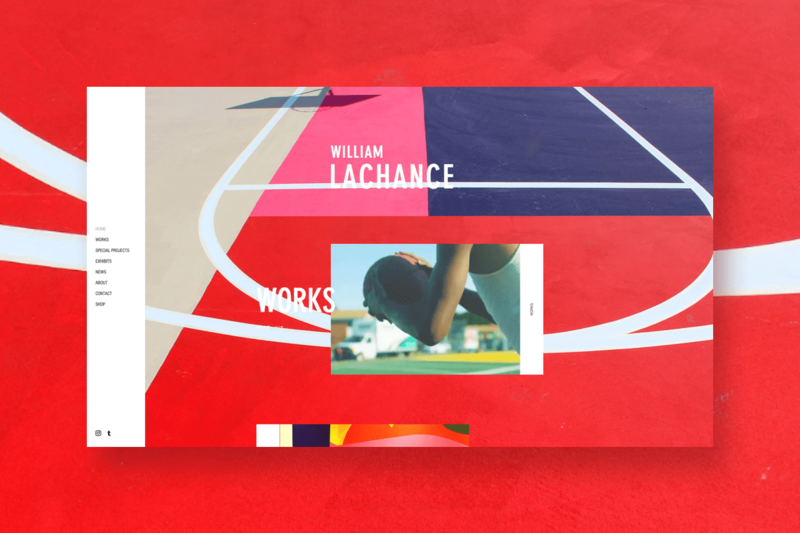 Okay, so William LaChance isn’t exactly a graphic designer, but we just couldn’t resist. 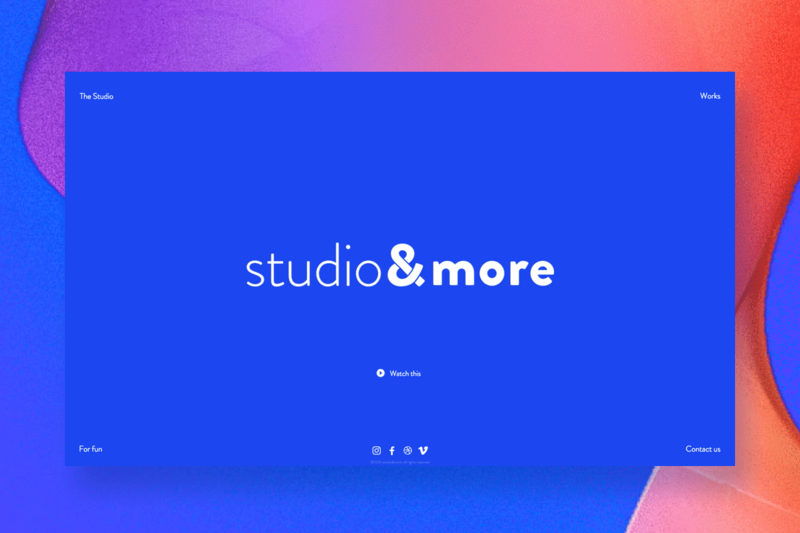 His portfolio is a great example of how to use color on a website. The blocks of bright colors and shapes are bound to dazzle any site visitors’ eyes, as is the stunning animation on the top fold. The simple, sans-serif font in the menu bar and the use of white lines balance out the bold shades and patterns. For a finishing touch, notice how the images and text slide in as you scroll – a theme that continues throughout each page of the site for a unified look.